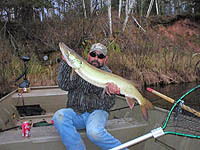 Wisconsin hunting, fishing and guide information; including guides,outfitters and lodges offering guided hunts for whitetail deer, black bear, as well as fishing for lake trout, muskies, salmon, bass, walleye, pike and more! 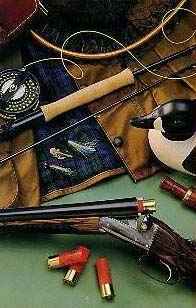 Wisconsin hunting and fishing at it's best ! Charter fishing in Milwaukee holds more state and world record fish than any other port. Discover the fun of trophy Coho and King Salmon or Lake Brown and Rainbow Trout fishing. All size groups. April thru October. 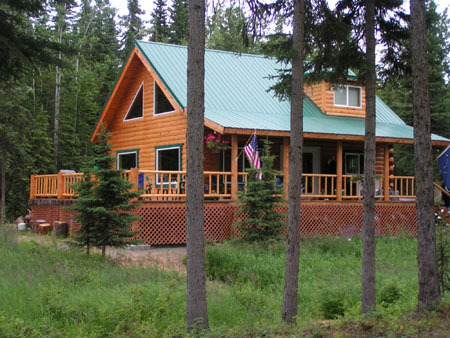 Experience the thrill of King Salmon and Trout fishing out of Milwaukee, Wisconsin. We have 23 years experience in charter fishing. I will work to make your trip fun, interesting and productive. All equipment is furnished. We also offer Lakefront cruises. 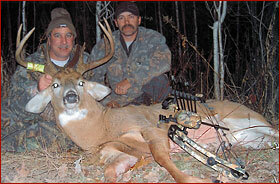 See Wisconsin Fish and Game Regulations and Licensing information.